September 16, 2017 By This post may contain affiliate links. Combine Oreo Cookies with cream cheese to make these decadently sweet Oreo Spider Bites for your Halloween party. They are a bit creepy but totally cute. 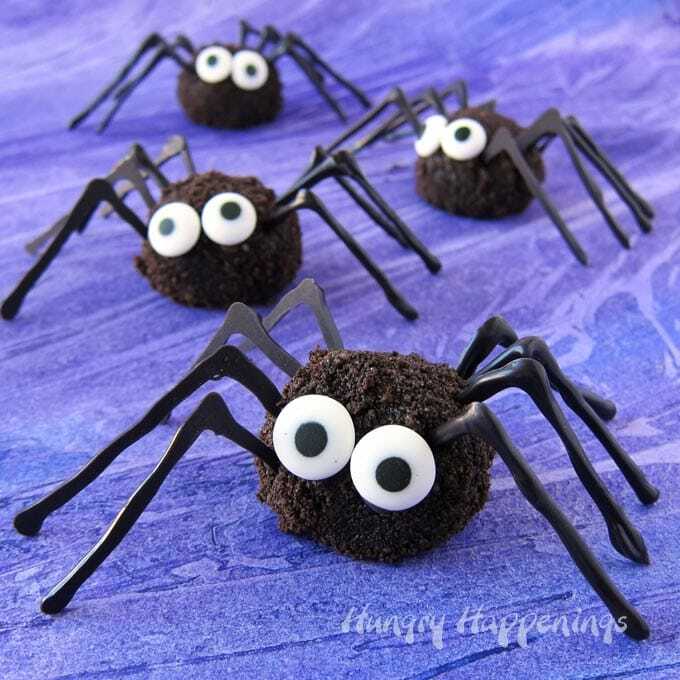 I first made these Oreo Spider Bites back in 2010 and shared the recipe in my book, Hungry Halloween featuring Movie Monster Munchies, Bewitched Buffet and Dead Man’s Diner. Over the years I’ve served them at my Halloween parties and they are always gobbled up by my guests. 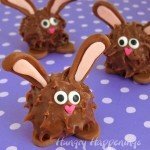 Some people do take issue with eating a spider, but these chocolate treats are hard to resist. 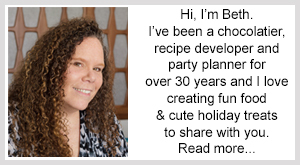 They are simple to make too so you’ll want to make a bunch of them for your party. 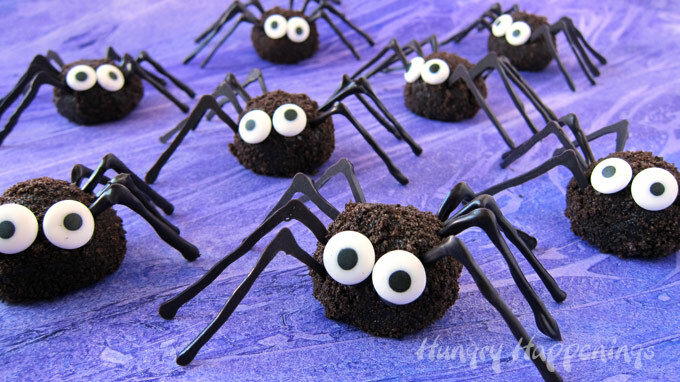 When I originally made these spider truffles I used round cinnamon red hot candies for the eyes. The spiders looked really creepy with their beady little red eyes. What do you think? If you prefer the scary red eyes, go for it and add the red candies. If you don’t like cinnamon, Wilton has red candy eyes with small black pupils on them that taste like royal icing. They would be equally creepy looking. If, however, you prefer something a bit less wicked looking then add big 1/2 inch candy eyes. Your spiders look a bit more friendly that way, but are still spiders none the less. 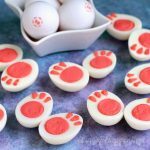 No matter how you decorate these Oreo Spider Bites they are fun to serve. 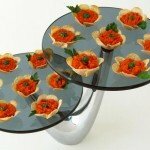 They are a bit delicate however, so when you are making them, be sure to pipe out extra legs. Some will break. I can assure you of that. 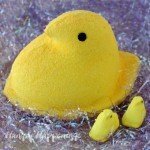 So, you’ll be happy you went through the effort of making extras. Watch the video to see how easy these 4 ingredient Halloween treats are to make. I used a Squeeze-it Mold Painter (squeeze bottle) to make the candy spider legs. I love using the bottles because I can control the melted candy well. If you use the bottle, just note that you will have to reheat the candy while you are working and will probably have to use a toothpick to clean out the pastry tip. You can use a disposable pastry bag to pipe out your legs if your prefer. 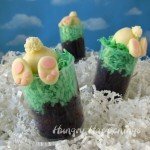 Cute and creepy Oreo truffles decorated with chocolate legs and candy eyes. These Oreo Spider Bites are easy to make for your Halloween party guests. Place Oreo Cookies in the bowl of a food processor. Pulse on high until you have fine crumbs. Scoop out 2/3 cup crumbs for later. Add cream cheese to the food processor bowl. Pulse until the mixture is well blended. Scoop out 28 tablespoon size balls of Oreo dough. Roll each scoop into a ball then roll in Oreo Cookie crumbs. Pipe "L" shaped spider legs onto parchment paper lined baking sheets. You'll need 8 legs per spider but you'll want extras in case of breakage. Insert 8 legs into each Oreo ball. Attach 2 candy eyes using candy melts. 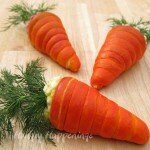 If you are looking for more creepy crawlers to make for your Halloween party be sure to check out these otherHalloween recipes. Have fun making these Oreo Spider Bites. If you share images of your spiders online be sure to mention Hungry Happenings and link back to this post. Use the hashtag #hungryhappenings and tag Hungry Happenings on social media. Thanks! I love Ron. I’d be happy to share my spiders with him! These spiders looks so great! I guess I’ll make both wicked and friendly versions, because I can’t choose which version I prefer. Thank you for sharing!! I’m so happy you like them both! Have fun making your spiders. I used jumbo red pareils for creepy red eyes and they were perfect. Also, everywhere was sold out of candy eyes so I used white chocolate chips and painted the black pupils on. Love these, so fun! I never thought of using jumbo red pareils for these. That is a fantastic idea! Using white chocolate chips is a great idea too! I’m glad they turned out and that you had fun making them. Happy Halloween!